May Long Weekend is coming up soon! We spotted a new hot coupon! Dempsters and Maple Leaf have teamed up for a coupon! 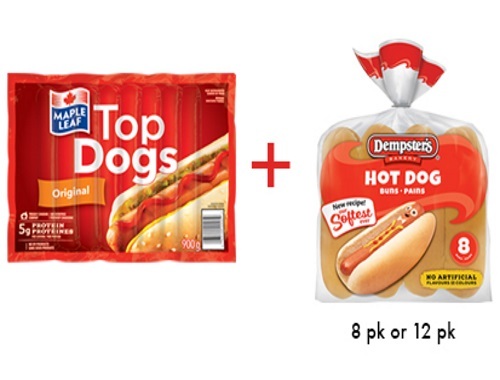 Save $2 off when you purchase Dempsters Hot Dog buns and Maple Leaf top dogs. You have to buy both products together to get the savings. This is a print coupon.